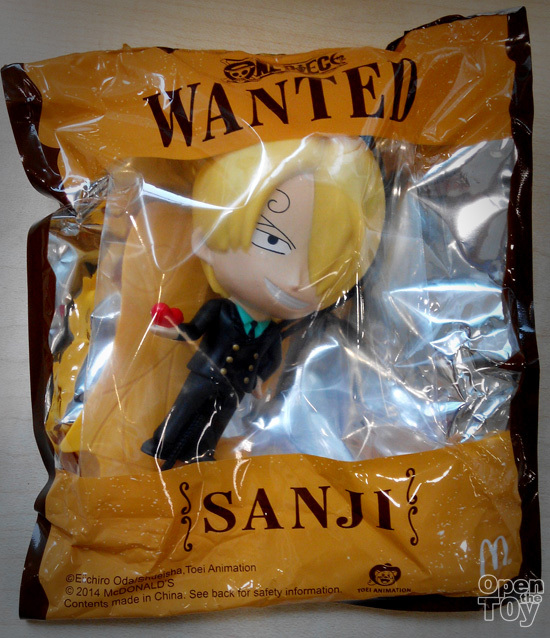 Another character release for McDonalds One Piece this week is Sanji, the chef of the Straw Hat Pirates. 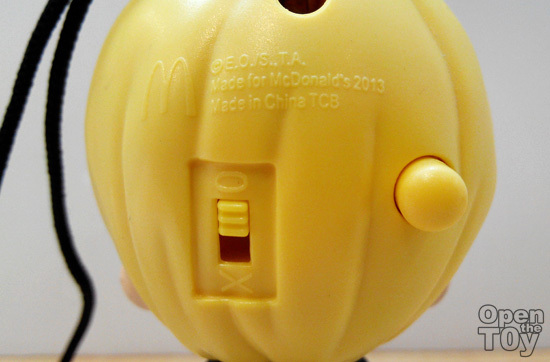 The feature of this figure is more electronic as there is a ON and OFF switch found at the back of the head. Moving it up to 0 mean it is ON and there is a button to activate the effect. 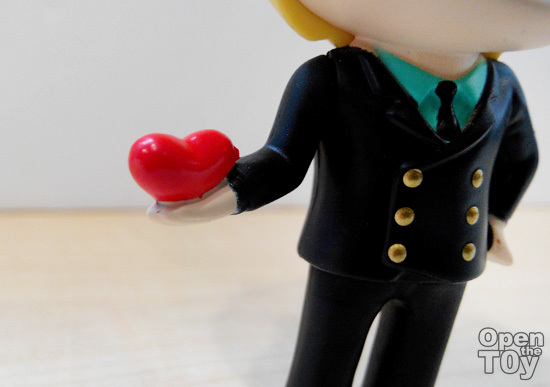 By pressing the button, you will see the heart shape light up at his hair and eyes just like in the Anime. 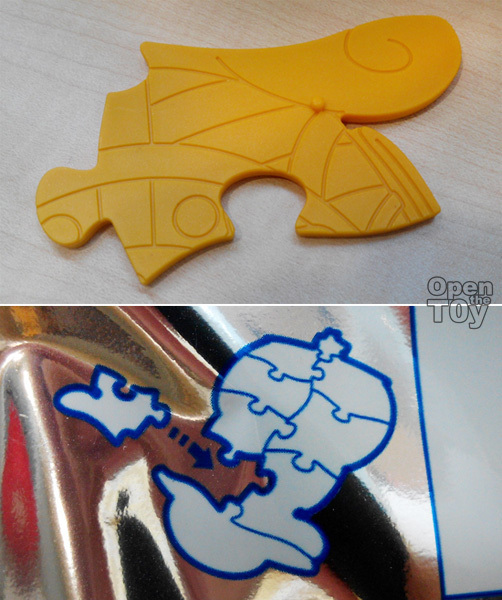 The figure also come with a base and he is in the middle right of the Thousand Sunny display base. 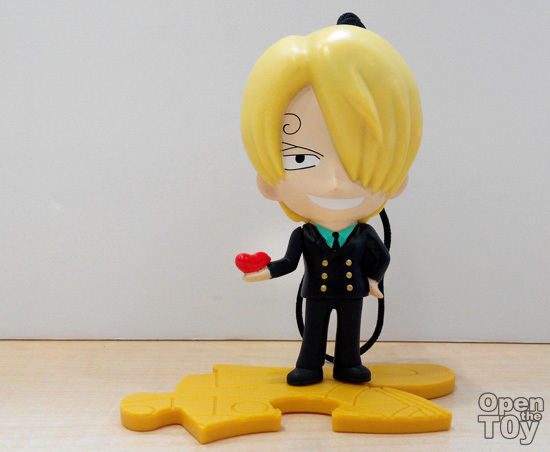 Here how Sanji look standing on the display stand. Always so former looking. 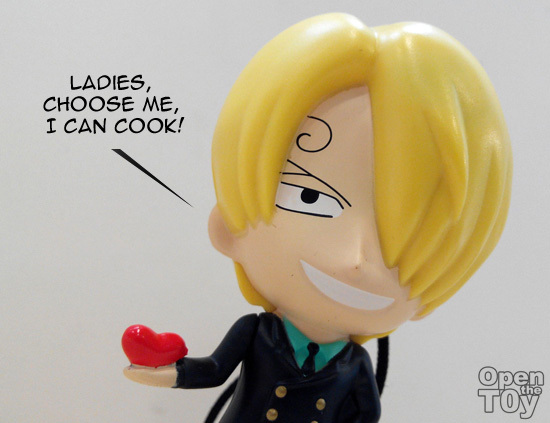 Not too sure if Sanji have good fans on that...Maybe most of the fans are ladies. If that's the case, I am sure Sanji would be happy. 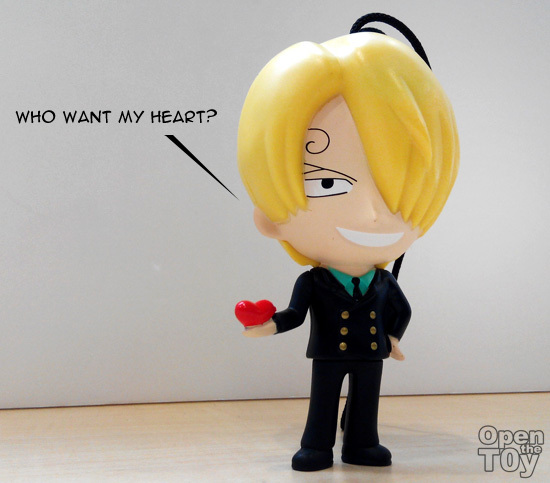 Are you a fan of Sanji?